Browse through photos of the 38th annual Kennedy Center Honors, held on Dec. 6, 2015. 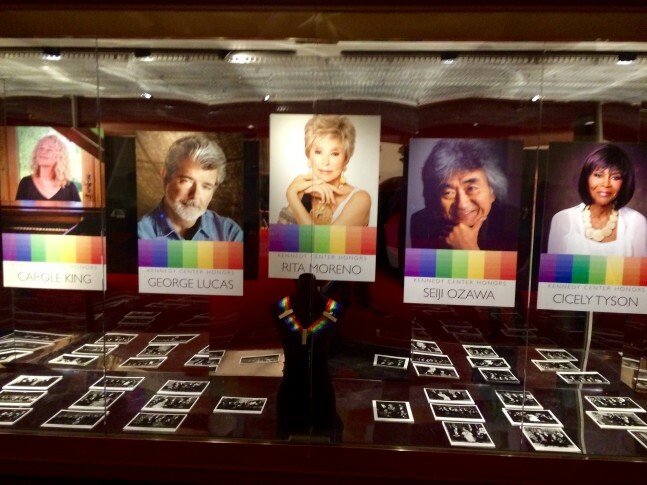 The 38th annual Kennedy Center Honors celebrated singer-songwriter Carole King, director George Lucas, actress and singer Rita Moreno, conductor Seiji Ozawa and actress Cicely Tyson on Dec. 6, 2015. The event will be broadcast on CBS on Dec. 29. Until then, listen to audio highlights below and click through our gallery to watch video interviews with the five honorees, as well as other famous guests on the red carpet with WTOP’s Jason Fraley.